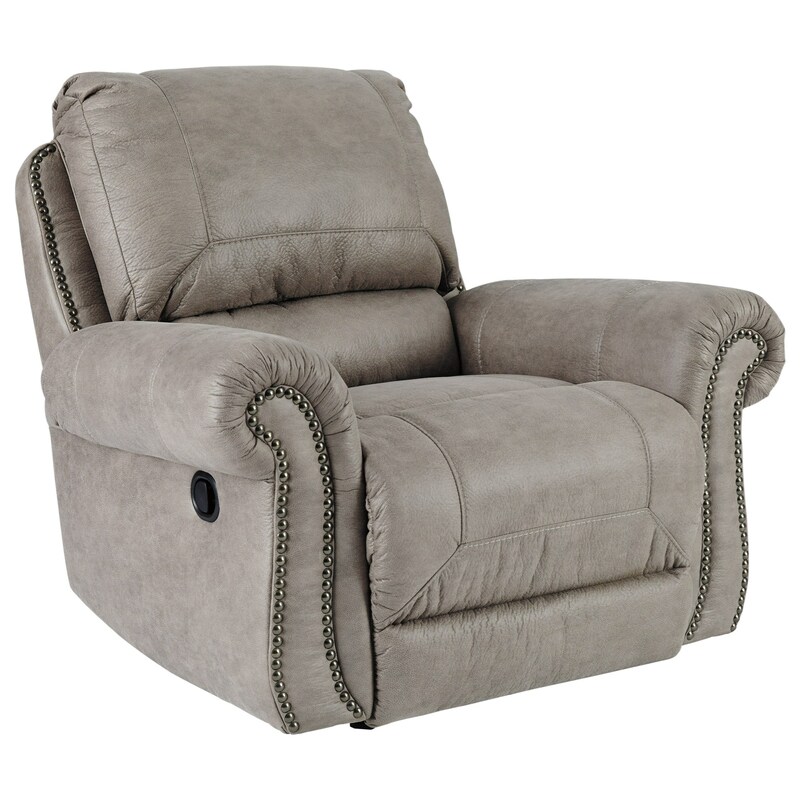 Rock and recline in style with this casual rocker recliner, which features unique design elements such as nailhead trim detailing and rolled arms. The rocker base creates a gentle rocking motion, and the exterior handle allows you to recline to your ideal position of comfort. The Olsberg Rocker Recliner with Nailhead Trim by Signature Design by Ashley at Miskelly Furniture in the Jackson, Pearl, Madison, Ridgeland, Flowood Mississippi area. Product availability may vary. Contact us for the most current availability on this product. The Olsberg collection is a great option if you are looking for Casual furniture in the Jackson, Pearl, Madison, Ridgeland, Flowood Mississippi area.